For my graduation I got concert tickets, a new laptop case, an amazing vacation to Maine, and my graduation party from my parents! From friends and family, I was also lucky to receive some smaller things that were just as sweet. These are all so cute! 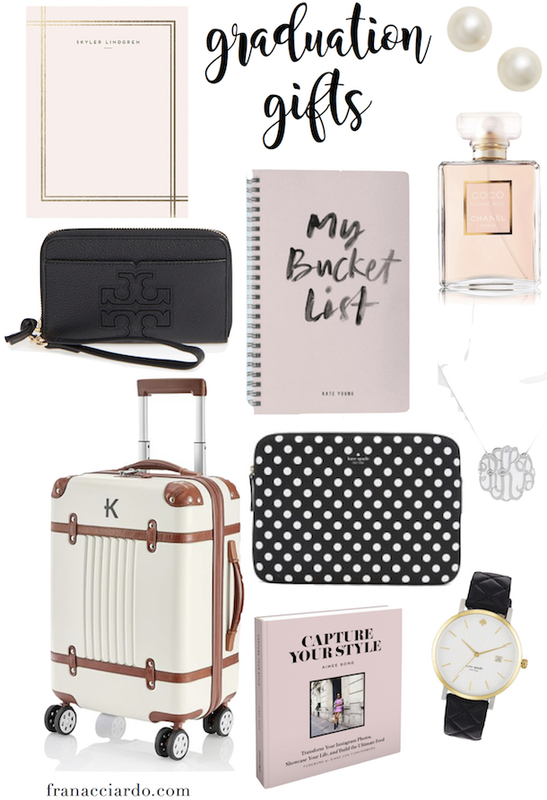 I love that suitcase and also think classic jewelry is a great graduation gift! A perfume can be a great gift for any occasion especially for a girl. The graduation party with a great gift like perfumes will be more memorable than any other gifts. Thanks for sharing your this post.